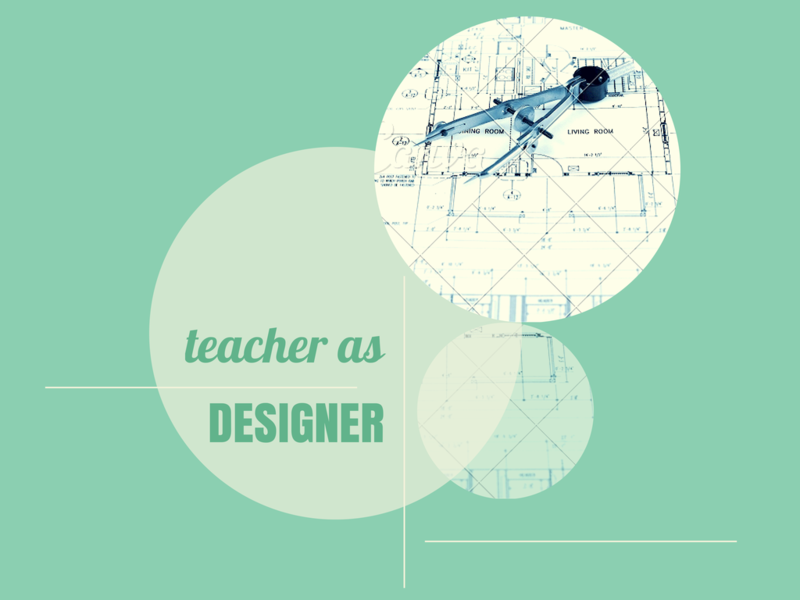 What does it mean to be a teacher designer? Two educators share their experiences. Regan Drew and John Marshall form the teacher designer team behind Riverpoint Academy’s Trep Studio in Spokane, Washington. Riverpoint is an innovative public high school, which was founded using design thinking. Together, Regan and John run the studio where students form design teams to tackle real world problems and generate real impact. In the first installment of this series, Regan and John reflected on the aspects and qualities of their relationship that enable them to radically collaborate. For this installment, I have asked them to reflect on their journey as educators using design thinking. What does it mean, feel, and look like to them to be teacher designers? 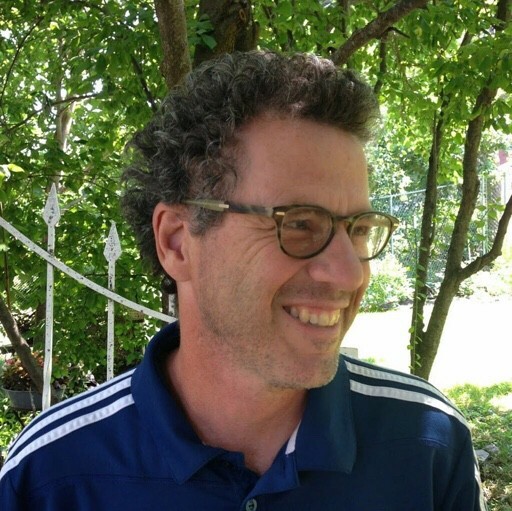 JOHN: I was very fortunate in two respects concerning my baptism into design thinking. First, when I was hired at Riverpoint the staff had already started using design thinking so I was sent to the Ford Institute for a four day training. 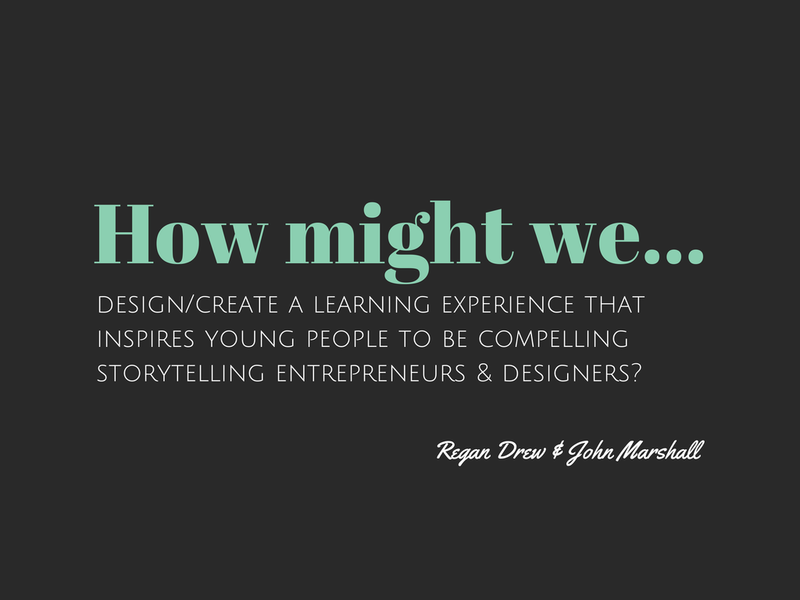 Second, my teaching partner (Regan) had already worked extensively with design thinking in the classroom, and her enthusiasm for the d.school at Stanford, and IDEO was infectious. What this allowed me to do was just sort of jump into using design thinking with staff and students without having to be “sold” on the idea. It was already a cultural value at our school, and Regan had already had great success with it in the past. This was interesting because most of my teaching has been predicated on me searching and finding things to do — after much deliberation usually. In this case the culture had been set, and there was already a wonderful mentor for me, so I just kind of took a leap into the process. I have always tried to be as student-centered as possible. I have always made a conscious effort to put the student at the center of what I do in my classroom, but sometimes I felt like the system was pushing against this (well, perhaps a better metaphor would be an undertow). There is always talk of putting the students at the center of what we do, but really this can be a surface quality of systems. A whole host of other stakeholders and contexts are lurking below the surface and pulling us backwards away from the students). When I came to Riverpoint Academy and started working with Regan and design thinking, for the first time I felt like systemically we were putting the user (students) at the center of what we were doing. We, of course, weren’t giving up on the the other users (parents, staff, district, state, etc.) but we were conscious of who we really were designing for, and this was incredibly liberating. To have design thinking to push us into the why and the how and the who really allowed me to look at my praxis. To have design thinking to push us into the why and the how and the who really allowed me to look at my praxis. Where this really hit home is when Regan and I started crafting our “How might we…” statement for our venture, TrepStudio, within Riverpoint Academy. We were making an attempt at combining entrepreneurship, English and social studies into one four-hour block of time, and we really used design thinking to co-construct our class. At the time, I don’t think we realized how much work we did — it was fun doing this after all — but when we looked back on our year, and what our students had accomplished, and what we had co-constructed? It was quite amazing. REGAN: I have to admit, this journey of starting a school and the deep learning path that we’ve been on is a bit hard to flesh out. I dove into design thinking almost exactly four years ago, and got rolling with it in several roles (first by immersing myself as a student/learner — several times actually; then applying it as an educator in the design of our school and student learning experiences; then sharing it with others as a workshop facilitator; and then as a collaborator in our classroom and school). All of this has coincided with launching a start-up school, the challenges faced with that, and serving students as the educators we are. My first real connection with design thinking was in the summer of 2011, at a d.school design thinking workshop. That experience challenged me in ways I never envisioned. I felt anxious, excited, nervous, unsure, confident, scared, vulnerable… all of it. But, it was obvious to me there was a need for it in school for everyone and a no-brainer for an entrepreneurship focused student experience — which was something I was trying to build. As I entered the next school year, I was fortunate to have been released from the classroom to help “start-up” and develop this new school — which would become Riverpoint Academy. My own journey to empowerment (which also came through experiencing feelings of permission) as a teacher designer came that winter/spring of 2012, as we set out to gain empathy and learn from other innovative models. We visited schools: Manor New Tech in Texas, BIG Picture schools in San Diego and South Seattle, and High Tech High. We learned from their work. My time at High Tech High, and then further time spent with educators from HTH that came to collaborate with our staff, opened my mind to see my role and potential to be different. This evolving vision was solidified in our time spent with Aaron, from the Henry Ford Learning Institute, he came to do professional development with our staff and guided us in framing the design thinking of our school. Those learning experiences and conversations gave me confidence that diving into this would not just be “okay,” it was necessary. This year to create also helped me identify with my own passions, which I believe is critical for “teacher designers.” We were provided the space and time to design think and create, at the same time, we were becoming empowered and inspired to be design thinkers. In looking back, I had been “designing” student experiences for some time, and doing it in a design sort of way, but it was incomplete and unformed. As I set out to design think learning experiences, it was scary! I did not know what would happen and I was afraid to fail, or that it wouldn’t work. The ambiguity was horrifying. But, as I started to see the results with the students, the diversity of thinking, and ownership by the students — compared to what was happening before, my confidence grew. It took about a year or even more, doing this, sticking to it, before I actually started to feel confident. Before, I had to fake the confidence. It is obvious that I became passionate about design thinking after the workshop in 2011, I believe I probably began to “own” my role as a design thinker as we made the decision to have design thinking fuel the learning experiences at our school. We took a risk, and made a commitment at the same time. By doing that, I had to own it. Now that we’ve had time, and can see the results, it was the best risk taken. And I believe, owning it, and seeing it through is what has made it work. We took a risk, and made a commitment at the same time. By doing that, I had to own it. We are so entrenched in our work that it is hard most days for us to see what is truly going on. But, I think about our many visitors — so often, they walk around and talk to students. I ask them how it’s been talking to those students and so many people, in a surprised tone say, “I can’t believe how much the kids own their projects/work.” I find this interesting because I’m not sure I can pinpoint that living it everyday. For a new visitor to say that within an hour of visiting, a visitor that has not been prepped with that language, it baffles me. I want to know how they see it, or what it is they are seeing, that frames it that way for them. I believe it’s the design thinking, and the passion created in that process. I also believe that is a reflection of us. As teacher designers, we are designing user-centered experiences, ones that we believe will create ownership and engagement. If visitors are seeing that on their own, we are doing something right as design thinkers, and the students are trusting us and the values we hold. As teacher designers, we are designing user-centered experiences, ones that we believe will create ownership and engagement. So, if visitors are seeing that on their own, we are doing something right as design thinkers, and the students are trusting us and the values we hold. The impact of design thinking on my teaching practice is interesting because I believe it has impacted me as a person — which then actually impacts me as a teacher, colleague, wife, mom, daughter, etc. When I first returned from Stanford, I was seeing everything differently. It was probably annoying to those around me, but, I was seeing so many opportunities for design. It started at the airport, good grief, then the driving route, then my home. My mindset was different. Seeing problems as the beginning of a thought process or creative journey — I found that fun. I understood myself better and how to go through that in my mind. I don’t silo out me being a design thinker in my varied roles. I just am. Or I just strive to be. My mindset was different. Seeing problems as the beginning of a thought process or creative journey — I found that fun. nurtures my own creativity and passion, which by nature, infuses into the learning environment and relationships with our students. As a teacher, design thinking provides a sense of energy and rejuvenation because it stretches me, slows me down, and never turns out the same. The impact of design thinking on my teaching practice has helped me be more adaptive and flexible. Here is a student-created video that explains what the VolunteerMe team did. Design thinking in practice has also been a catalyst for me to try and learn new things — whether that is content related or learning new skills. It is interdisciplinary by nature, I have learned things I probably wouldn’t have learned otherwise. You begin to uncover the, “you don’t know what you don’t know,” when you engage and interact with others that you may not have connected with before. JOHN: The VolunteerME project that @regan mentioned is a great example of how design thinking has changed the way I go about my teaching. The process that the students go through has made me much more aware of, well, the process of learning. Sometimes we do need to reboot and pivot, but in my previous way of teaching we never had time for this because the end product needed to be finished. In many ways, teaching with design thinking has made the process of design thinking the product. Does this mean that students don’t need to produce a product for us? Absolutely not. What it does mean is that they need the space and time to attend to the design thinking process in a metacognitive way, and this becomes the learning that we focus on. What can be difficult for me, is that with so much attention on the process, we have to trust the process and our teaching of the process implicitly. We have to believe that the product that comes out of this design thinking process will be useful in some way, and so far this has worked out. But this trust in the process is very counter-intuitive for me in many ways. As Regan mentioned our deadlines are stressful…we can be a week out of a big project deadline and a public exhibition or business plan competition, and it can look and feel like we have accomplished nothing all semester. But, it all comes together somehow and our students have produced some wonderful products in the past two years. @rethinkedteam co-founder & storyteller @TeachersGuild. I believe in the power of stories to ignite empathy, creativity & change — share yours with me?